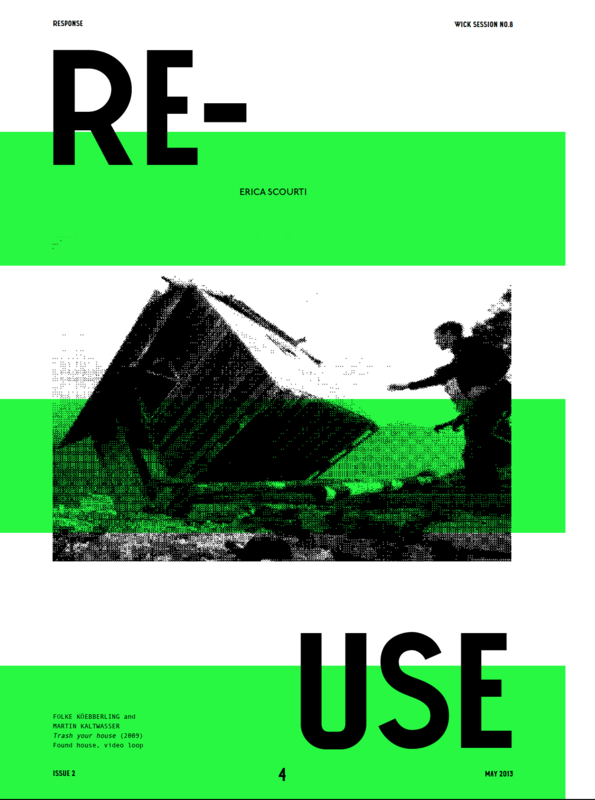 Cover of RE-USE, issue 2, May 2013, courtesy Public Works. Public Works is an art and architecture practice from London that works within and towards public space. Public Works operates on the edge of the art habitat: All of their projects address how the public realm is shaped by its various users and how existing dynamics can inform further development. They make use of a particular public space through participation and collaboration, thus producing a collective space and extending its public character. Projects address the relation between the informal and formal aspects of a site, producing social, architectural, and discursive spaces. Public Works frequently activates artistic competence, and their projects include socio-spatial and physical structures, public events, and publications. 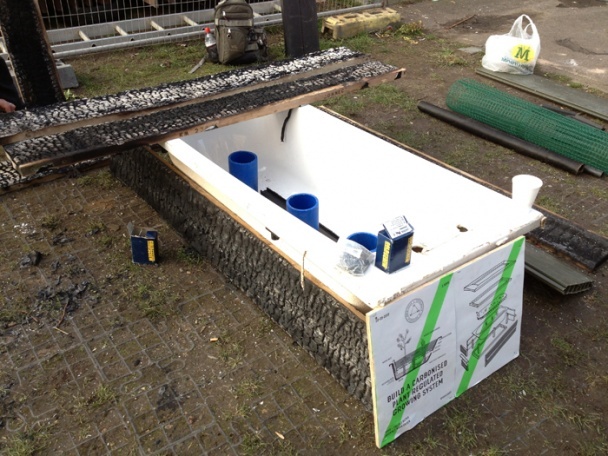 Manuals presented in the workshop were published in the framework of R-urban Wick, a project located in the Hackney Wick district of London. 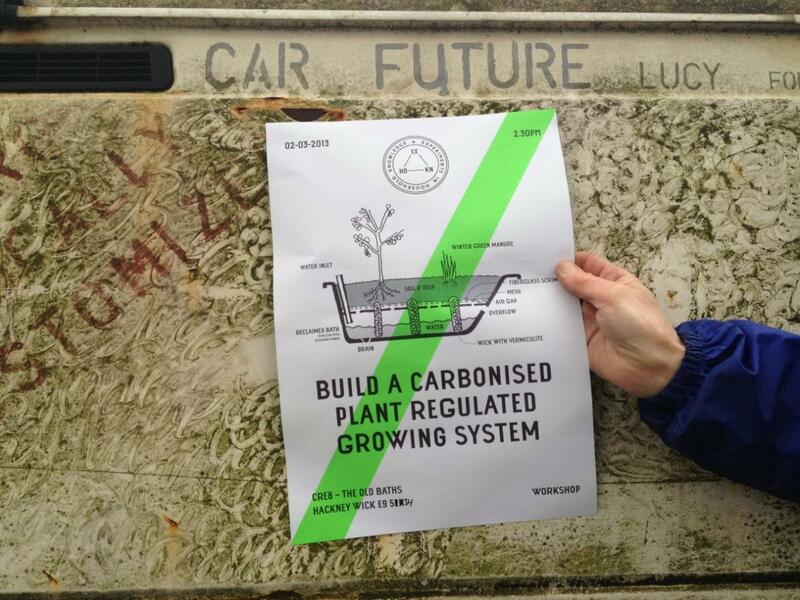 R-urban Wick is a pilot project that initiates local ecological cycles, supporting the emergence of alternative models of living, producing, and consuming. Publishing manuals is typical of Public Works’ methodology of sharing collective knowledge – usually generated in workshops and skill-sharing sessions – aimed at developing bottom-up strategies of urban resilience. The report presented in exhibition consists of a selection of manuals donated to the Museum of Modern Art in Warsaw for the duration of the exhibition. Courtesy Public Works and R-Urban.